In March 1980, Patricia Morales Tijerino and her sister had just left a wedding in a little chapel in El Salvador's capital and were on their way to the reception. "And then I spotted him," Morales Tijerino recalls. "He was in his white cassock." 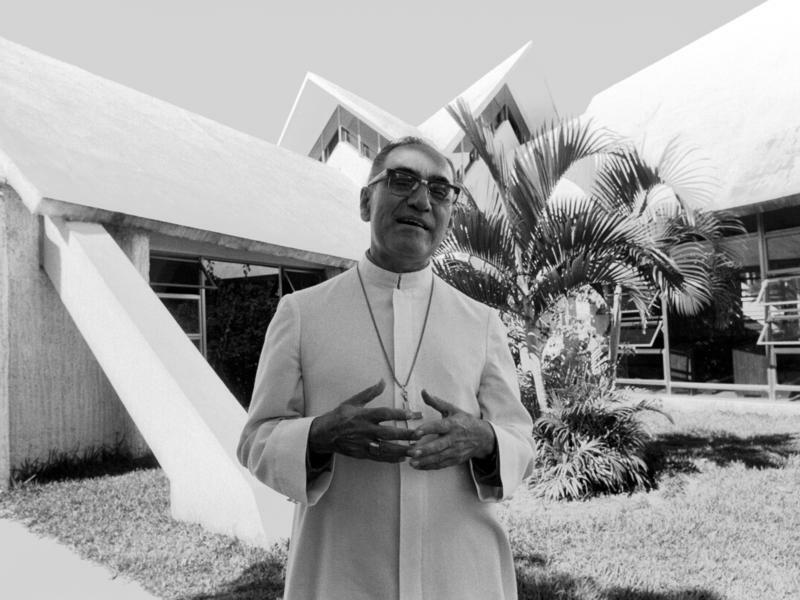 Óscar Arnulfo Romero, the Roman Catholic archbishop of San Salvador, was standing alone in a garden outside the church. 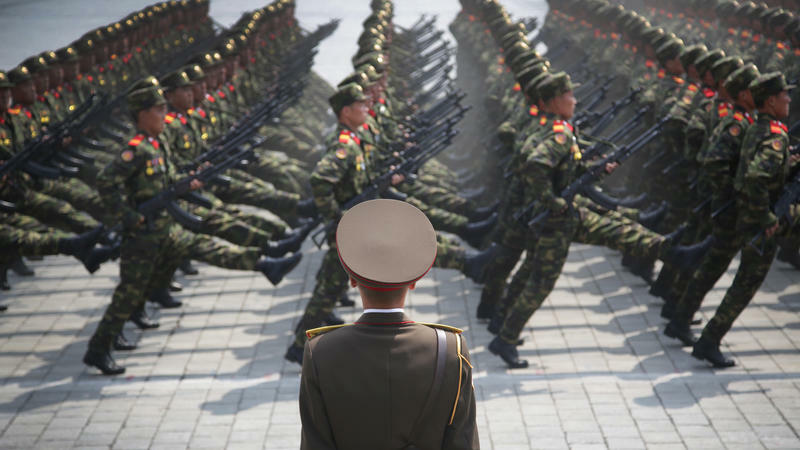 When Yeonmi Park was a young girl in North Korea's Ryanggang Province, near the Chinese border, she went to her uncle's house to watch TV. 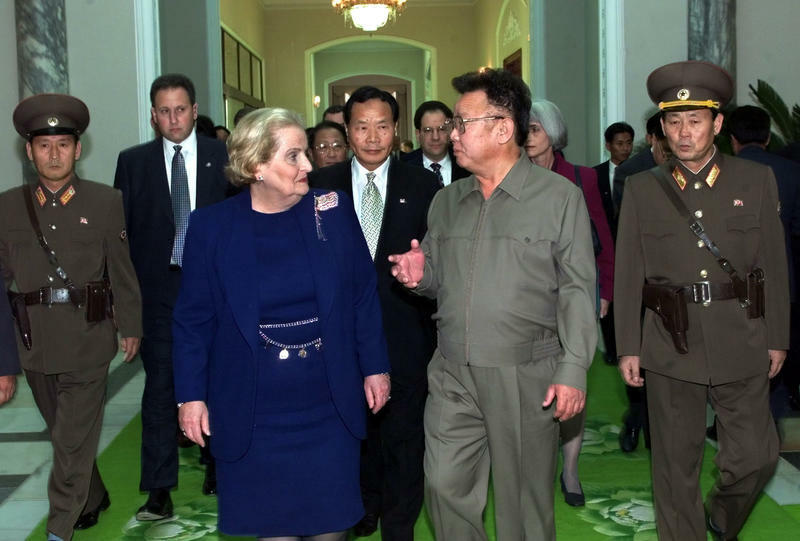 But this wasn't the usual state-run broadcast praising the "Dear Leader." The movie she watched at her uncle's house was illegal. She covered the windows with blankets, turned the volume down low and huddled in close around the TV. She watched a pirated copy of Titanic. At Seneca Sawmill Company in Eugene, Ore., a team of lumbermen stand watch as wooden boards are spit out one-by-one onto a planing platform. 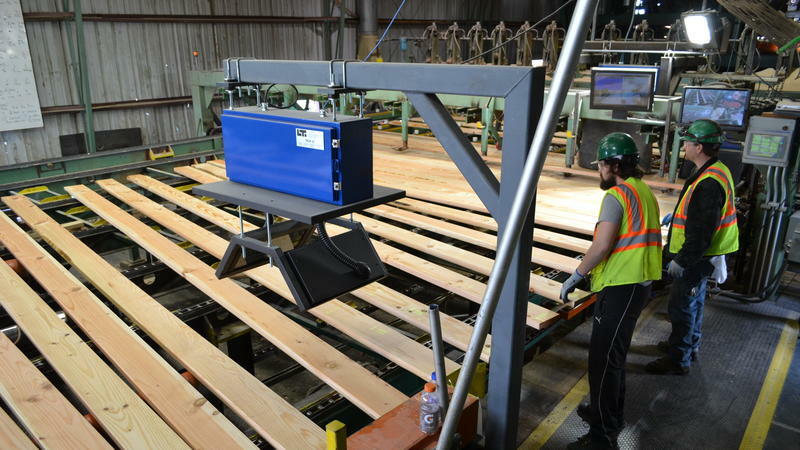 "We're taking rough lumber from the saw mill, bringing it over and putting a smooth surface on all four sides and then grading it based on lumber grading rules," explains Todd Payne, Seneca's CEO. Payne says his business is thriving. A "now hiring" sign even hangs out front. Seneca Sawmill has weathered the past few decades better than many of Oregon's other timber operations. 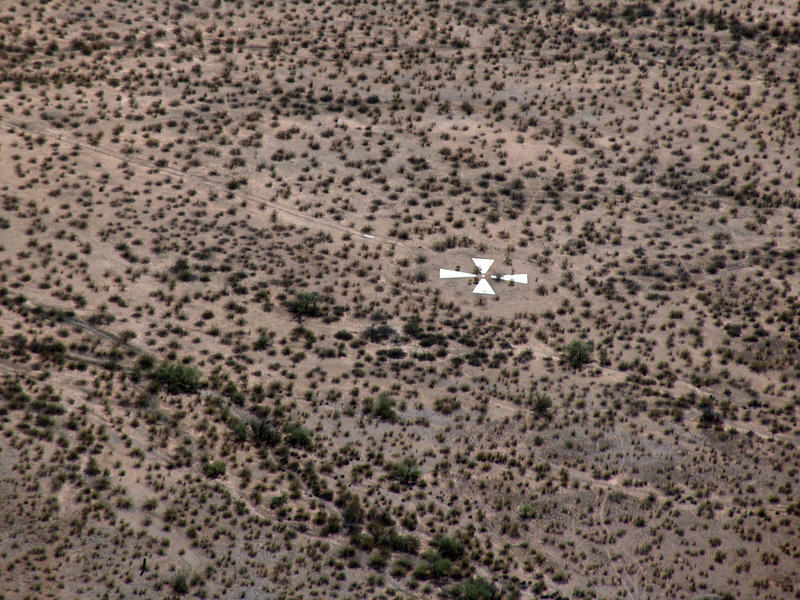 A lone, single-engine Cessna airplane enters restricted airspace. The pilot ignores air traffic control, so the plane stays on course. 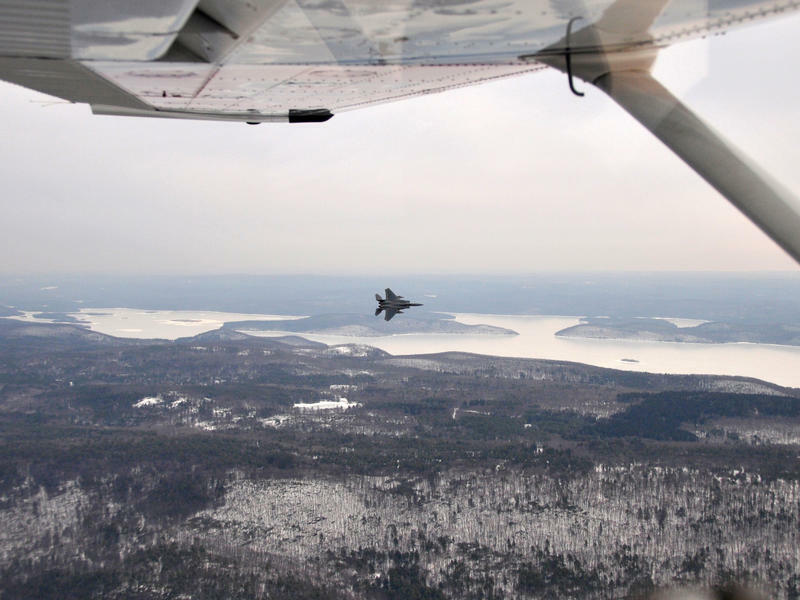 That's when the F-16 fighter jet shows up outside the window with a warning call that blares over the radio: "You've been intercepted." NBA sideline reporter Craig Sager, a broadcaster nearly as famous for his wardrobe as for his basketball knowledge, has died at the age of 65. Sager had been very public about his diagnosis of leukemia. 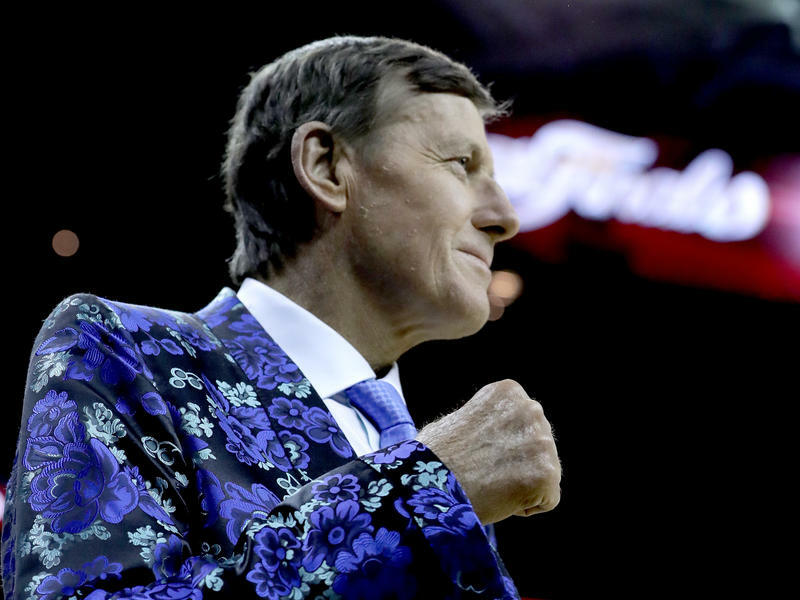 "There will never be another Craig Sager," David Levy, president of Turner Broadcasting, said in a tweeted statement. "His incredible talent, tireless work ethic and commitment to his craft took him all over the world covering sports." 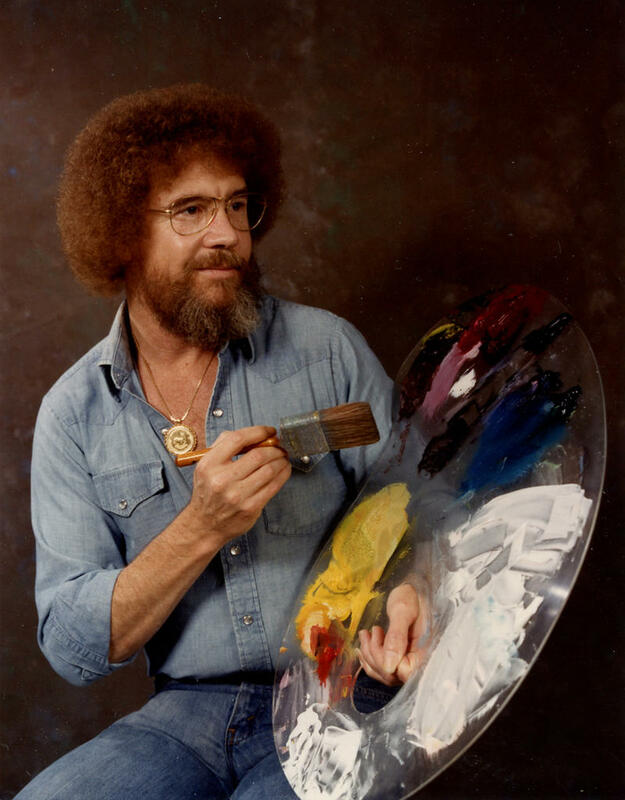 We're not going to bury the lede here: Bob Ross' hair was actually straight. 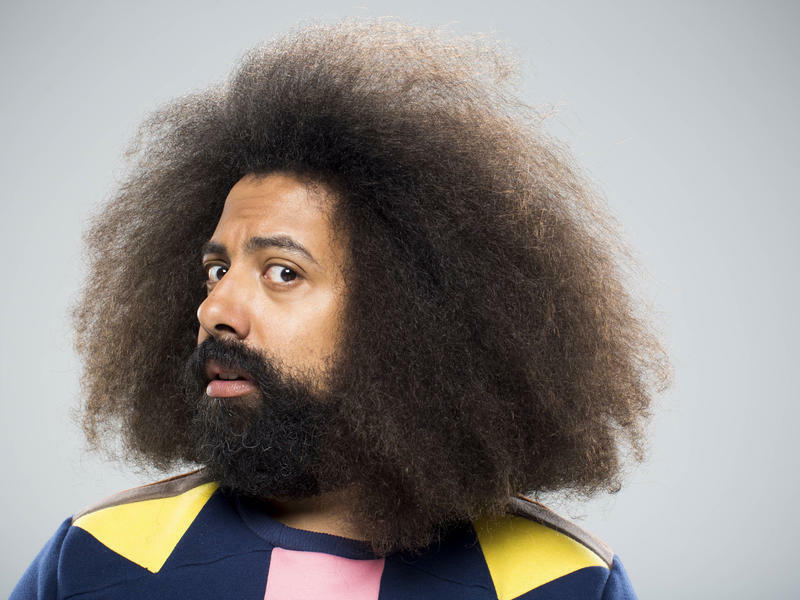 Just ask his longtime business partner, Annette Kowalski, who knew Ross better than anyone — he had just gotten out of the Air Force, and was unsuccessfully trying to make a living as a painter, she says. Pit lane on race day is an adrenaline rush. Especially on Sunday at the 100th run of the Indianapolis 500, where the seats are sold out and the stakes are high. 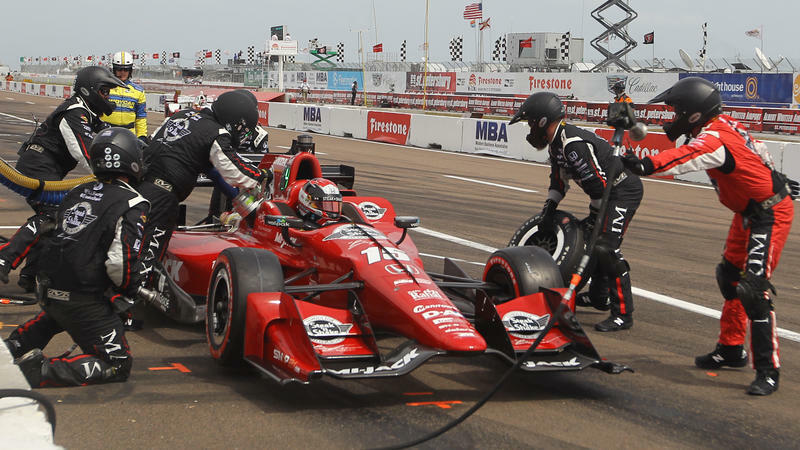 IndyCar pit crews have just seconds to change four tires and refuel their driver's car, all while other cars fly past. In this line of work, members of pit crews expect to get pretty banged up. The jet sitting at Air Hollywood's studio near the Burbank airport in Southern California was once the charter plane of the Los Angeles Lakers. These days, it serves a much different role — mostly as the set for movies and TV commercials. But the group walking on board the day I recently visited wasn't there to film a scene. 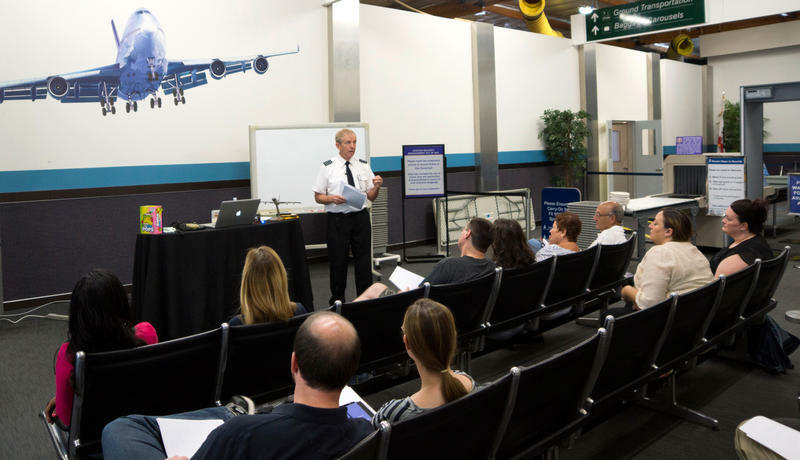 They were part of a two-day class for fearful fliers. For participant Ronnie Michel, it was the first time in six years that he'd seen the inside of a plane. An hour south from the bright lights of the Las Vegas strip, a tiny town in Nevada is up for sale. Cal-Nev-Ari, Nev. (pronounced Cal-Nev-Air) is off a lonely stretch of Highway 95, surrounded by distant mountains and endless desert. The town isn't far from the California and Arizona borders, which is how it got its name. If you can afford the $8 million asking price, you'll get the airstrip, the diner and the town's only casino. 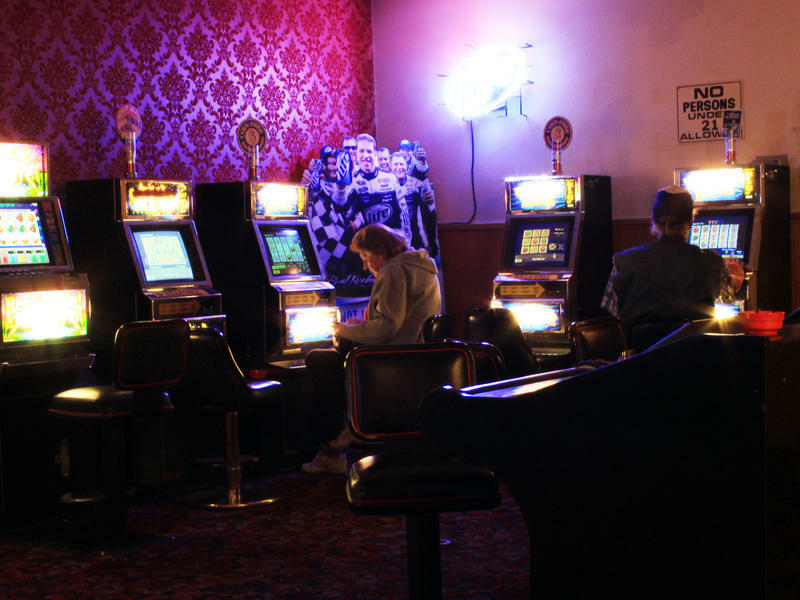 That includes a dozen old slot machines and a smokey bar. This place has character. 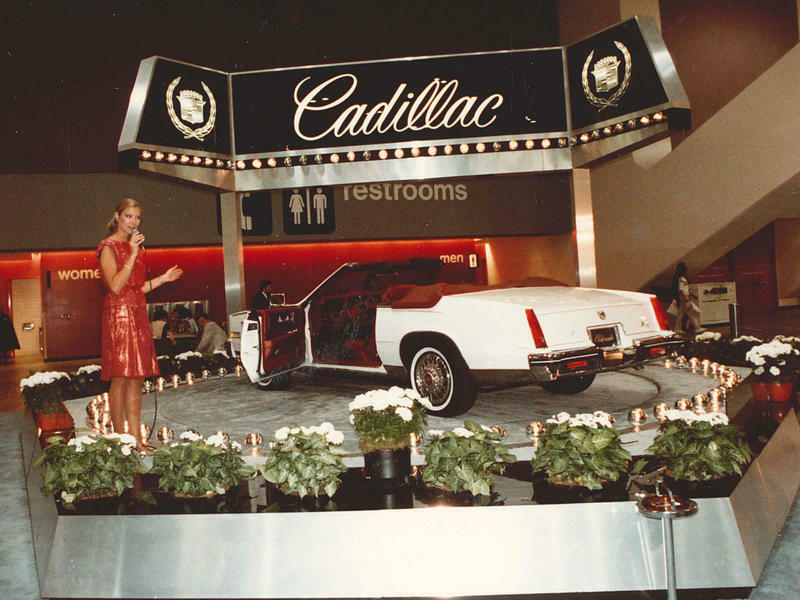 Back in the '70s at auto shows across the country, you could find Anita Mitzel wearing an extravagant gown and reciting scripted monologues in front of a shiny Cadillac that would slowly spin on a turntable. All these years later, she can still recite them. 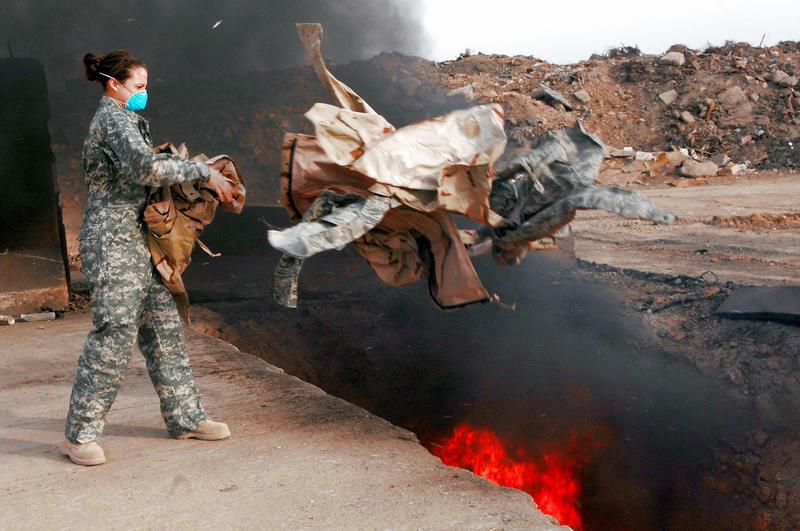 In 2008, Army Reserve Capt. LeRoy Torres returned home to Robstown, Texas, after a tour in Iraq. He went back to work as a state trooper with the Texas Highway Patrol. 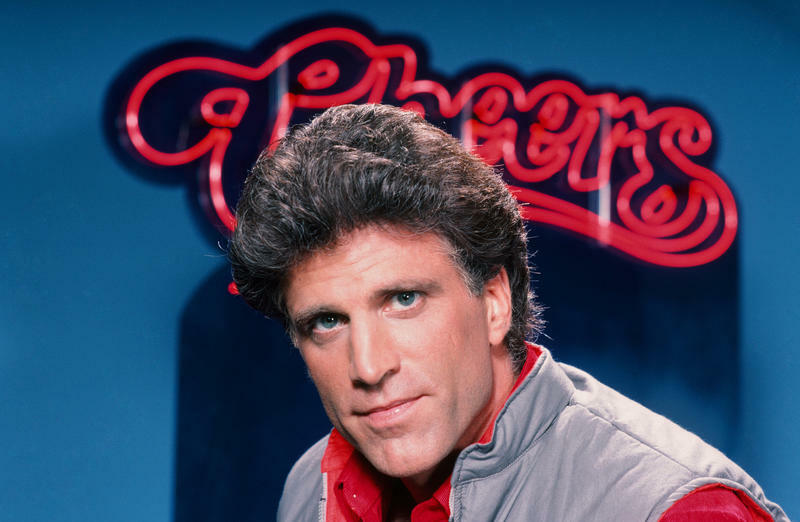 Torres was a longtime runner. So when a suspect took off on foot one morning, Torres sprinted after him. But something was wrong. A burning sensation in his chest hurt so bad, it almost knocked him down. After an action-packed chase through the dried-up LA River, The Terminator, played by Arnold Schwarzenegger, rescues a kid named John Connor on his motorcycle. 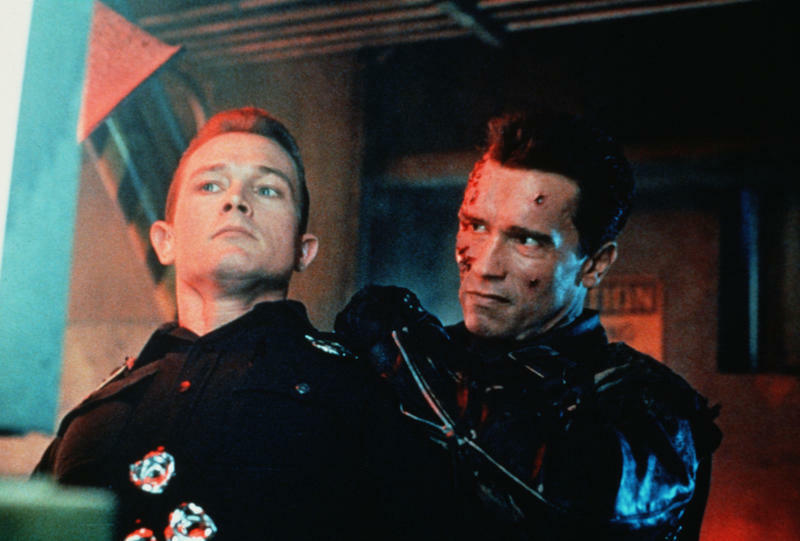 They're running from a cyborg dressed as a cop — an advanced prototype called the T-1000. A run-down bar in rural Alaska isn't any place for a kid. 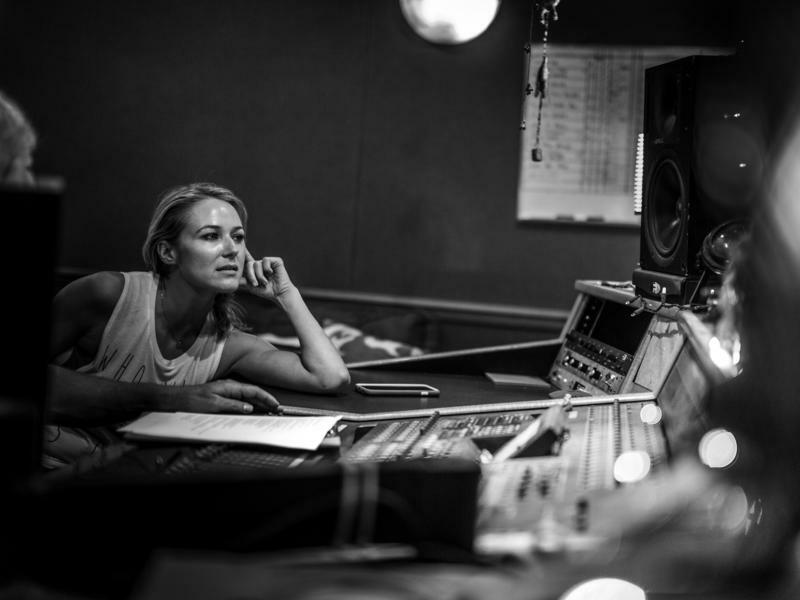 But when she was a child, that's where songwriter Jewel found her voice — on dingy stages at lumberjack joints. "A wiser fella than myself once said, 'Sometimes you eat the bar, and sometimes the bar, well, he eats you.' 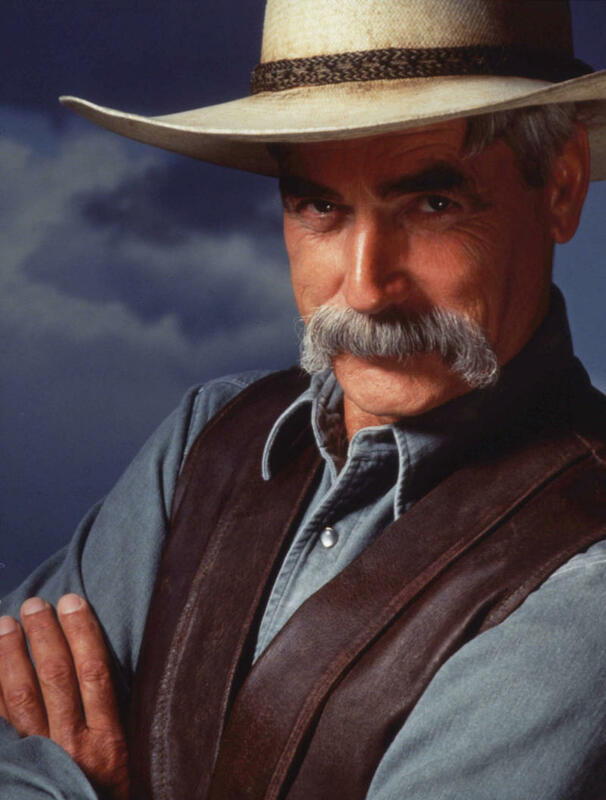 "
He's The Stranger in The Big Lebowski, played by Sam Elliott. But before Elliott portrayed cowboys, he worked construction in Los Angeles. That's what launched his big break. On Stockton Street, in Compton, Calif., there's a small white stucco house with a chain-link fence and an old tree out front. There's isn't a sign or plaque in the yard, and there aren't any tour groups taking photos. There's nothing here to indicate that this house, in this quiet neighborhood, was the childhood home of two of the best athletes of all time. 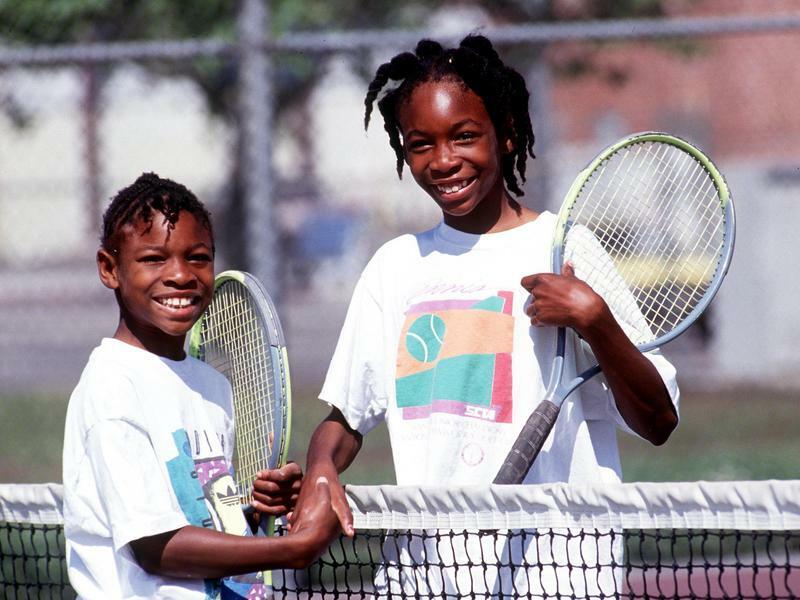 Long before the U.S. Open this week, before the Nike and Gatorade sponsorships and before the stardom, a young Venus and Serena Williams were given their first tennis rackets here. Patty Wagstaff performs incredible maneuvers in her small aerobatic airplane: rolls, loops and spins. She'll fly straight up, put the engine in idle, free-fall down, fire the engine back up and roar past crowds at air shows across the country.